This is a laser-cut fast-build kit. It has a totally detailed interior with counter and stools. 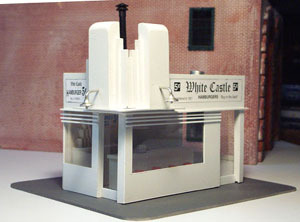 The detail is so good that this model was featured in closeups for a White Castle television ad on the West Coast!